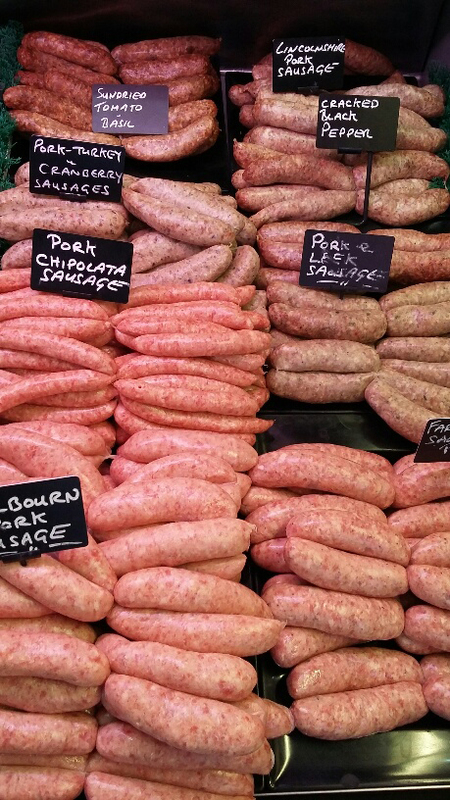 We are well known for our wide variety of sausages including our famous Beaumont’s Fulbourn pork sausage, as well as gluten free, tomato, leek, chive, Jack Daniels, sage and onion, grandad’s and grandma’s recipes to name but a few. We have about twenty different varieties and try to have eight or nine of these freshly made each week. We also keep some varieties in the freeze. We will also be happy to make sausages to any recipe you might have or to produce sausages for a special dietary need such as gluten-free sausages. All our sausages are the very highest quality Free Range Blythburgh Suffolk Pork. Traditional Fulbourn Sausage based on Michael’s secret family recipe and produced in-house for the last 50 years. The Fulbourn has won coveted awards both locally and nationally and we regard it as the finest on offer! Lemon & Fennel is a county show winner and the perfect choice of sausage for those seeking something a bit different to accompany their meals. If there is a particular type of sausage you would like to see in the shop, please tell us and we will endeavour to supply it.